It's important to remember that every interview is a two-way street. 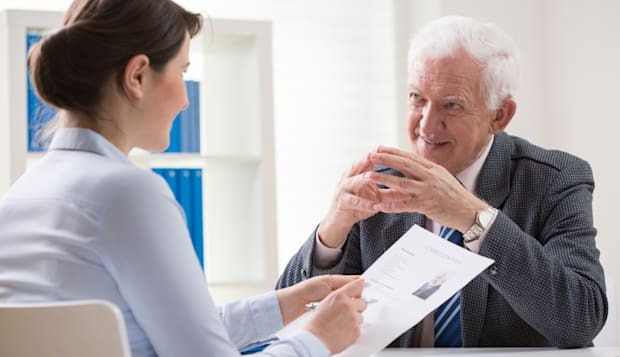 You should be interviewing the employer just as much as they're interviewing you because you both need to walk away convinced that the job would be a great fit. "The very process of asking questions completely changes the dynamic of the interview and the hiring manager's perception of you," says Teri Hockett, chief executive of What's For Work?, a career site for women. "Asking questions also gives you the opportunity to discover details that you might not have otherwise unveiled." Amy Hoover, president of TalentZoo, says there's another reason you should always prepare questions. "It's expected — and if you don't ask at least two questions, you will appear disinterested, or worse, less intelligent and engaged than a prospective employer would like." You should have at least four questions prepared, though, in case your original two are answered through the course of the interview. But, Hoover says, don't just ask questions for the sake of it. To actually benefit from them, you'll need to think carefully about what you want to ask. "Your questions can, in fact, make or break an interview," she explains. "If they're not thoughtful, or if you ask something that has already been addressed, this can hurt you way more than it can help. Asking smart, engaging questions is imperative." Obviously this shows your eagerness about the position, Harrison says, but it also gives you a better idea about what the job will be like on a daily basis so you can decide whether you really want to pursue it. "A frank conversation about position expectations and responsibilities will ensure not only that this is a job you want, but also one that you have the skills to be successful in," he advises. Oliver says questions like this simply show you've done your homework and are genuinely interested in the company and its leaders. How do you handle new business pitches? Who gets involved in generating new business at this company? Is there a team in place, and do they cull employees from different teams depending on the business that your firm is going after? Asking about a company's game plan shows that you are eager and proactive, Oliver writes. "Star performers are usually eager to get involved in the new business effort, even if they are not technically on the new business team," she says. "When you ask about new business, you're signaling that you're an A player."